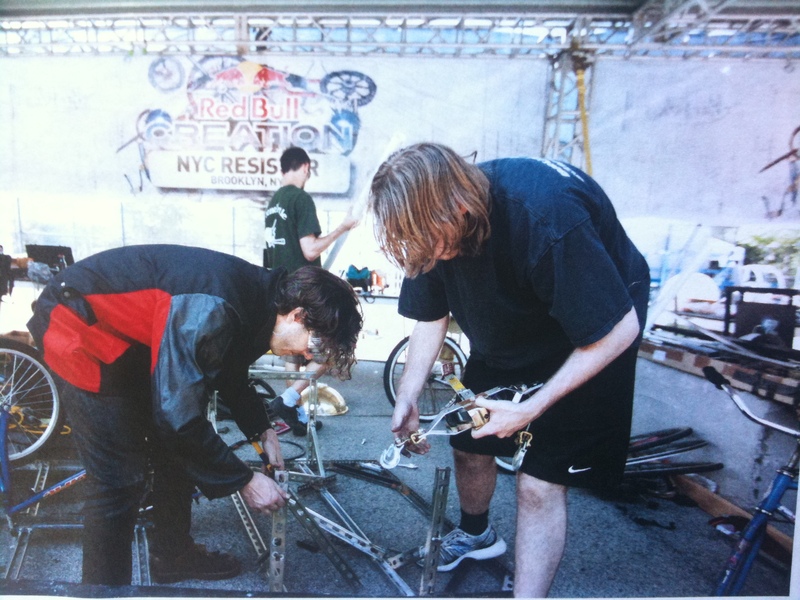 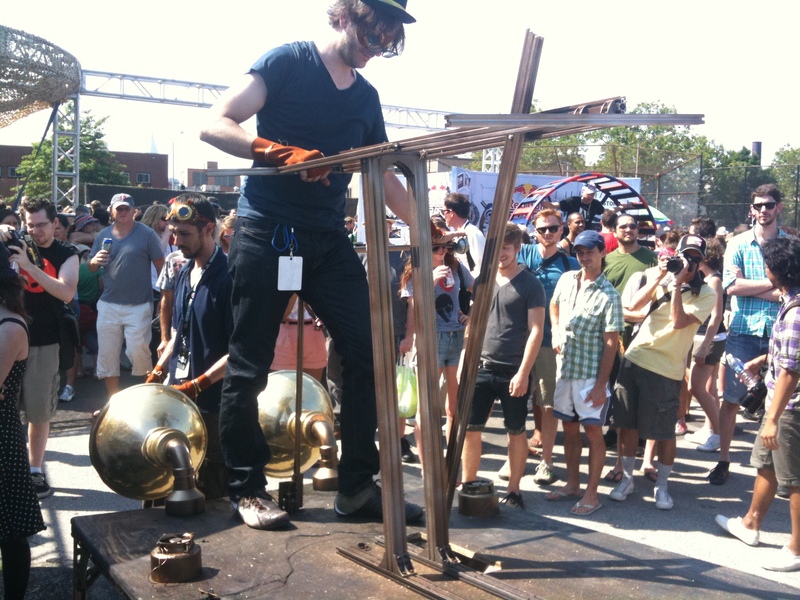 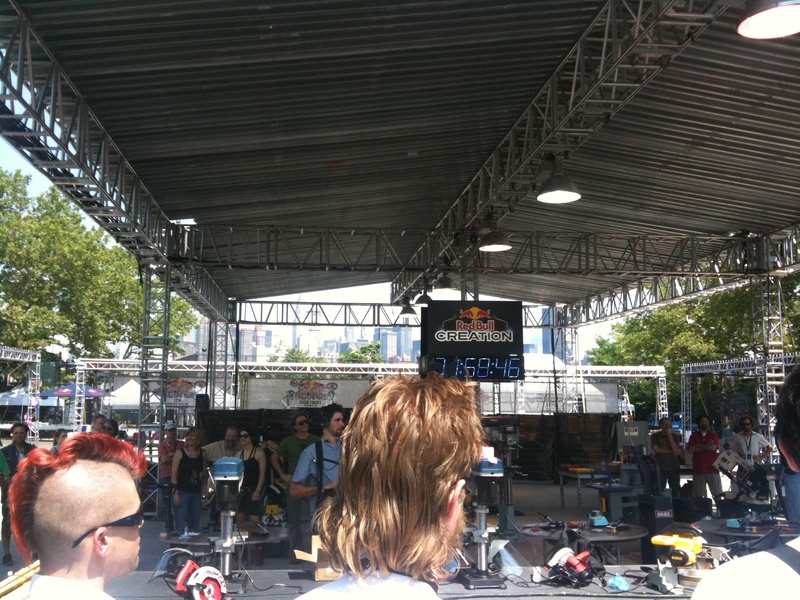 In 2011 NYC Resistor was invited by a marketing arm of RedBull to compete in a local competition between several hacker and makerspaces from across America. 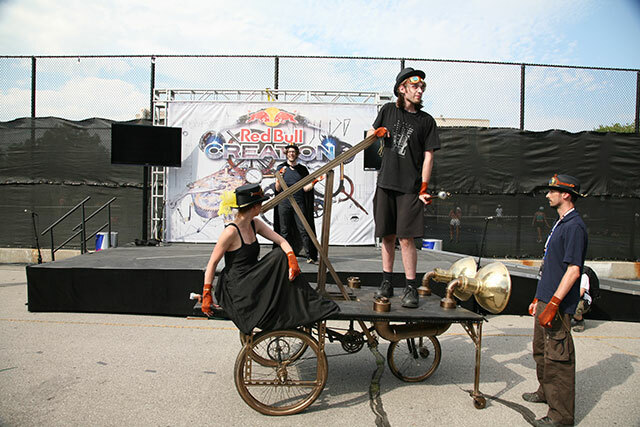 The theme was Locomotion. 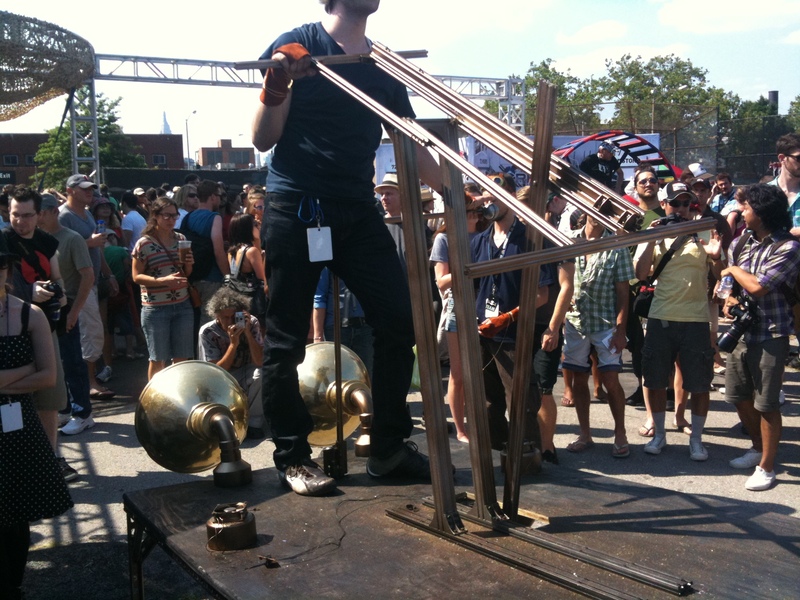 Our team built a spiffy-looking olde-time Pump Trolley over the course of 72 hours in a park in west Brooklyn.